The European Award for Citizenship, Security and Defence is intended to reward outstanding efforts towards promoting European citizenship and European security and defence awareness. The prize was first awarded in 2011, under the High Patronage of the President of the European Council. 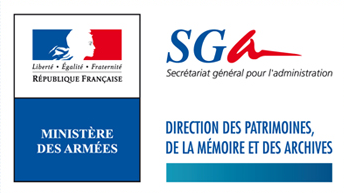 The prize is organised annually by the association “Civisme Défense Armée Nation” (CiDAN), together with the European Interparliamentary Security and Defence Association, with the support of the Behörden Spiegel. Remembrance ceremonies and activities, in a spirit of reconciliation. The competition is open to all European citizens and legal entities (organisations, groups, associations, foundations, companies, armed forces units and military staffs, and public and private educational establishments, including primary and secondary schools and universities, etc.) in all the EU Member States. 26/27 November : Award ceremony during the Berlin Security Conference. an assessment and validation of the results obtained. The application may be written in English or in French and may include press articles, photos, films or any other form of media which highlight the achievements. The organisers shall determine the composition of the jury which will include acknowledged experts on European affairs from countries and institutions of the European Union. The jury’s deliberations shall be secret and irrevocable. All participants in the competition shall undertake to abide by these rules and accept the jury’s decisions. The award is presented annually. The winner in any given year is not permitted to re-enter the competition for a period of three years. Participants shall allow the organisers, CiDAN and its partners, to use their names and photographs as they see fit, for three years, all around the world, especially due to the intrinsic international nature of Internet, on all media : written and audio-visual press, flyers, books, electronic letters, CD-ROMs, CD-I, DVD, Internet, Intranet, film, presentations, conferences. These supports will contribute to the promotion of the image of CiDAN and its partners in the European Award for Citizenship, Security and Defence. There shall be no remuneration for such non-commercial use. The organisers have the right, if necessary and at any time, to postpone, modify or cancel the present award.